I love the idea of giving the gift of food. It’s something people used to do all the time, but in practice, it’s gotten a little lost over the years. And since they’re gifted less often these days, people seem to view food gifts as extra special. That being said, you’ve probably received or gifted nuts, sweets, or spices at some point. And there are good reasons for that—they’re treats that keep forever and they’re delicious. But for this challenge I wanted to think a little outside the box. With our two little additions to the family, I’m not really in a position to be making big batches of food gifts, but if I’m invited to someone’s house, I love to bring something. Fancy butters are perfect because they can be opened and served immediately with the bread already at the table. These butters don’t compete with anything that your host is making, and they’re special—upgrades to something that’s otherwise a little plain. And if your host doesn’t want to serve the butter, or their gathering is not a dinner party, they can enjoy it for the week to come on everything they would normally spread butter on. There is no chance this gift won’t be used! But there is one question to be asked (don’t worry, I have the answer! ): how do you make it ahead of time?! Well, it’s true that butter doesn’t last as long as nuts or a spice blend, but that doesn’t mean you have to make it to order. Butter actually freezes beautifully, so you can make these fancy butter gifts ahead of time, freeze them, then pull them out as needed. Just give them a day in the fridge to allow them to thaw before serving. Oh! And to make your gift presentable and avoid messing with stubborn air bubbles, work in layers when filling the jars. Also, while we’re talking about making things presentable, my gingerbread butter could have been smoother. I know you saw those lumps! I was working with just a stick of butter, but if you were making a larger batch, a food processor or mixer would guarantee smooth results. For the sweets lovers: my Gingerbread Butter—which has all those warm gingerbread spices and a touch of sugar. 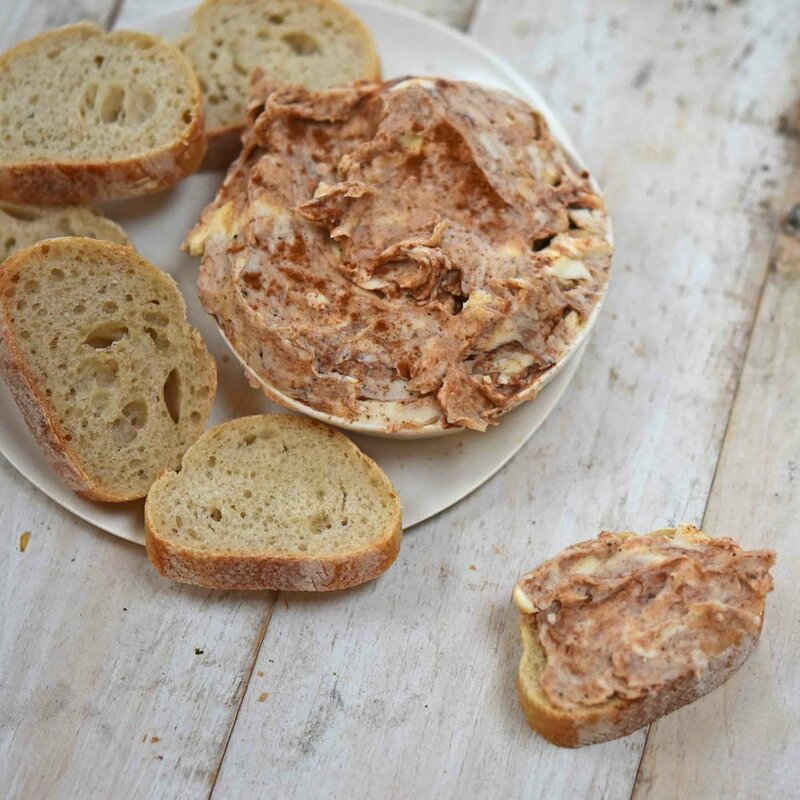 And for those who are fans of something more savory: Sundried Tomato + Basil Butter. I think I just took the art of food gifting up a notch! 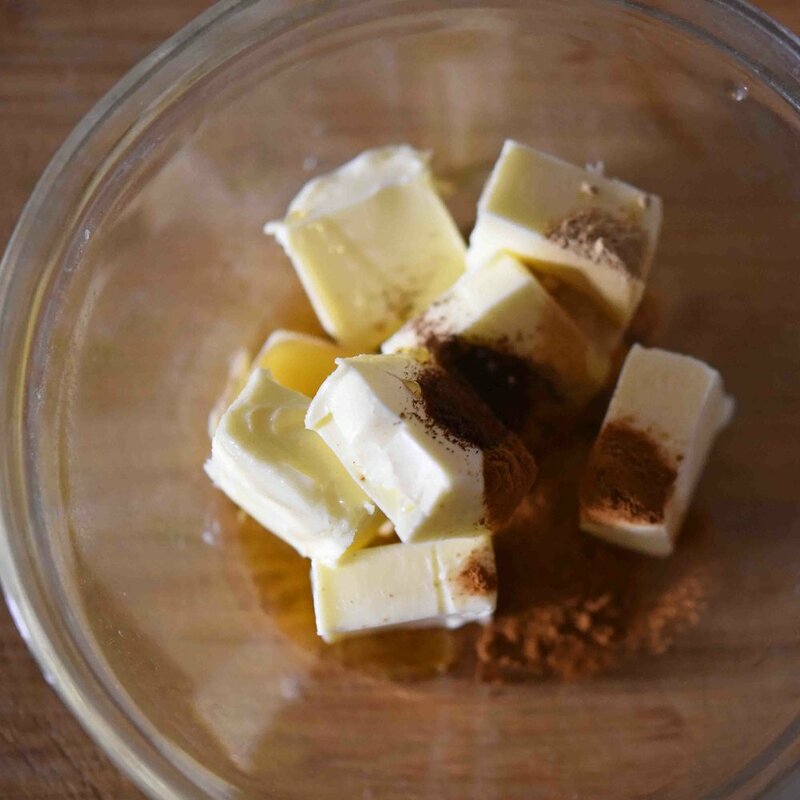 In a small bowl, combine the butter, brown sugar, cinnamon, ginger, and cloves. Using your hands or the back of a spoon, mash the ingredients together until fully combined and mostly smooth. Transfer the butter mixture to containers and refrigerate or freeze until ready to serve. To thaw from frozen, place the butter in the refrigerator 24 hours prior to serving. 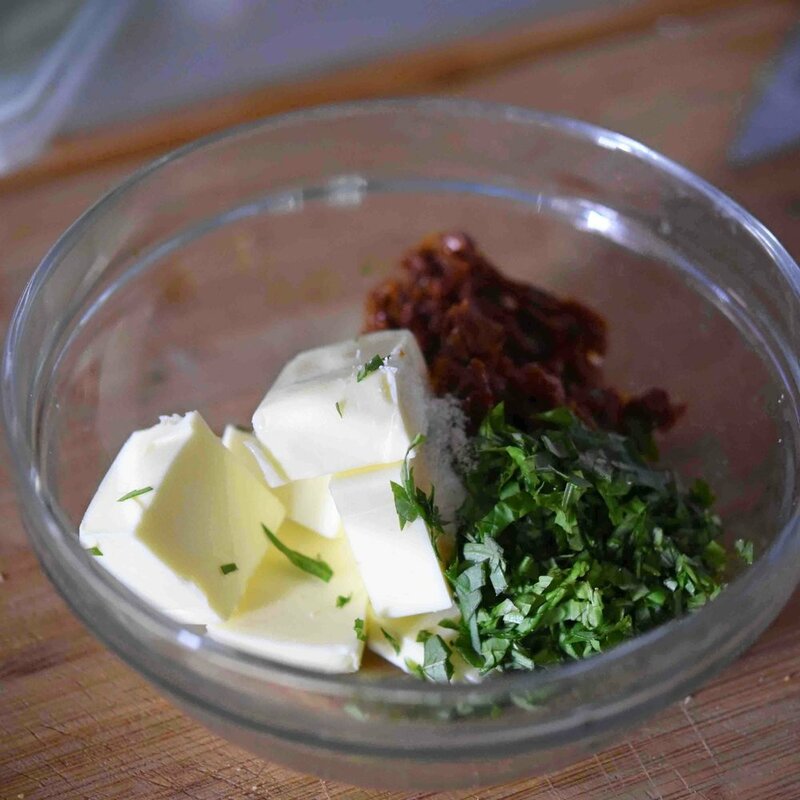 In a small bowl, combine the butter, sundried tomatoes, basil, and salt. Using your hands or the back of a spoon, mash the ingredients together until fully combined and mostly smooth.